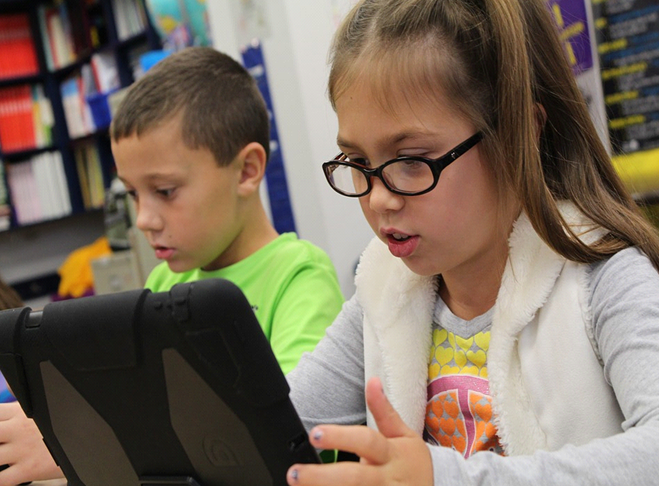 Over the past few decades, schools have relied on computer technology for delivering educational content or equipping students with resources to enhance their learning. With the advent of the Internet, some schools have started offering classes fully online for maximum flexibility, while other brick-and-mortar institutions are incorporating digital tools into their classroom and at-home assignments. Incorporating these tools helps educators keep their students engaged in a time when online media is a huge part of many students’ lives. Education technology platforms like Study.com use Virtual Classrooms to seamlessly integrate teacher feedback, dynamic learning, analytics, and personalization when assigning homework. Here are some of the main benefits of Virtual Classrooms, how students can get the most out of their homework assignments, and how teachers can use technology to inform their in-class teaching methods. Teachers can use Study.com’s virtual classrooms to create and grade homework assignments using Study.com’s vast library of content. Teachers can choose from over 50,000 text and video lessons and easily assign the lesson and its corresponding homework quiz by clicking on the Share tab. Teachers can assign all the pre-selected lessons for a course, or they can mix and match lessons to create a custom course specific to their curriculum. Teachers can also assign videos and quizzes to either an entire classroom or specific students, offering more opportunities for scaffolding. For teachers who like to plan ahead, Study.com offers the option to assign multiple lessons at a time—set it and forget it! Assignments from virtual classrooms can also be shared on other learning management systems like Google Classrooms, Blackboard, and Schoology. Videos and online quizzes offer immediate grading, as well as answer explanations so that students can learn from the questions they missed and target their study habits to areas that need the most help. With this digital method, students can learn from their mistakes in a safe environment, away from the potential embarrassment of getting an answer wrong in front of classmates and get feedback in real time rather than wait for homework to be graded or reviewed in class. Teachers can also gather data from Virtual Classrooms to analyze individual student scores and class trends and further tailor their curriculum to address student needs. Teachers can see how many students completed each assignment, how many times each student took the assessment at the end, and what score each student earned on their first attempt and best attempt. If the teacher notices a pattern—for example, 60% of students in a class incorrectly answered a question about balancing chemical equations—it might be worth reviewing that material again in class before students take the final exam. Similarly, teachers can hone in on exactly what individual students are having trouble with, so they can provide support quickly before it becomes an issue. The biggest draw for students, a virtual classroom offers enhanced opportunities for gamified learning. Teachers can make homework more fun and engaging with a YouTube-like experience for students who are used to consuming information through video. With the proliferation of Buzzfeed quizzes and other online tests taken for fun, a quiz attached to an online lesson can also feel more like a game than an assessment. Although entertainment is not the main reason for students to complete their homework, it can still encourage students to study outside of the classroom and may help them retain more information if it is presented in a memorable way. Virtual Classrooms not only enable students to learn anytime and anywhere, but also cater to different types of learners and students’ needs. In particular, students who are audiovisual learners rather than text-based learners stand to benefit a lot from digital learning. Unlike in the classroom, students have the opportunity to re-watch a lesson if they missed something the first time. In addition to videos, virtual classrooms still provide a text-based option through transcripts for students who learn better via reading than listening/watching. By providing options for students to self-select their learning method, virtual classrooms help put more students on the path to academic success. In addition to their powerful classroom tools, Study.com provides support for teachers’ own personal and professional development. With a vast library of lessons focused on developing workplace skills, their platform is invaluable to a developing teacher. In particular, their preparation materials for national teacher certification exams like Praxis, along with state-specific exams like FTCE and TExES provide prospective teachers with all of the material they will need to pass their general knowledge and pedagogy exams. They are also ideal for current teachers who are looking to gain additional credentials, such as subject/grade-level certifications or administrative credentials. Have a go, and let me know how you get on!